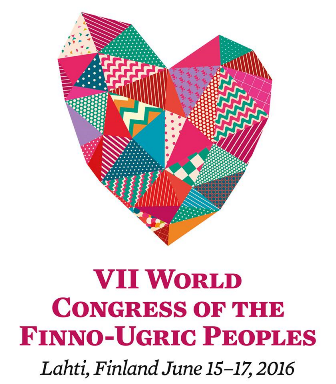 We, the delegates and participants of the VII World Congress of Finno-Ugric peoples, acknowledge that while experiencing profound changes in our modern society, more and more representatives of our peoples put their faith in human rights and human dignity, the rights of people and national minorities in order to preserve their language and culture as a basis of ethnic identity. We acknowledge that our movement is based on the Declaration on Fundamental Principles, Objectives and Tasks of Cooperation of the World’s Finno-Ugric Peoples of the First World Congress of Finno-Ugric Peoples (Syktyvkar, 1992). Our movement supports non-governmental organizations, governmental agencies and all interested institutions in their efforts to conserve Finno-Ugric peoples’ identity, languages and historical and cultural heritage and to use them as a part of the modern educational and cultural policy. The Finno-Ugric movement maintains its position in public life as an important element of civil society. We confirm the principle of direct participation of representatives of our peoples in the development of the agenda of the Finno-Ugric movement. Over the years much has been done to further develop the languages and cultures and to incorporate peoples’ native languages, history and traditional cultures of minorities in the educational system. Due to the Finno-Ugric movement, there has been a significant increase in social awareness concerning value of ethno-cultural identity as an important opportunity for cultural and socioeconomic development of countries and regions, promoting e. g. development of specific areas of regional economy. Nowadays, young people of the Finno-Ugric movement have been increasingly expressing themselves. Young people acknowledge responsibility for ensuring sustainable development of their peoples’ language and cultures, using modern information technologies that focus on all groups, including representatives of other nations. Regarding inclusion of youths in the Finno-Ugric movement, there is an increase in confidence in further development of the movement and also in expansion of its cooperation areas that involve different areas of social activity. VII World Congress of Finno-Ugric Peoples, identifying a main theme of the Congress as "The Finno-Ugric peoples towards sustainable development"
we state that while applying humanitarian approach an important task with regard to sustainable development implementation is to ensure (also by means of education and awareness-raising campaigns) preparedness of non-governmental organizations, representatives of local community, authorities and a business community to participate in a dialogue. This dialog should be present at all stages when making decisions that promote favorable conditions for sustainable development of a local community, a region and a country. We believe that the further development of the Finno-Ugric cooperation proceeding in accordance with national legislation of the countries and generally recognized norms and principles of the international law will promote cultural and educational potential of its members and cross-fertilization of the Finno-Ugric peoples. It is aimed at strengthening the all-round friendly relations opening thus new opportunities for peaceful and sustainable development of our peoples and countries.